The SBSLSC Rookie Lifesaver Program assists with the education and retention of our 12 – 14 year old members through a structured development program. 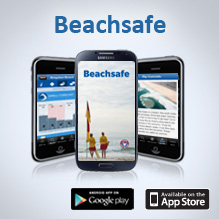 It is aimed at developing our future surf lifesavers in the areas of surf education, beach management and related career paths within the surf life saving movement. The Rookie Lifesaver Programme has been developed to incorporate junior members into the patrolling environment. It is not an extension of the Junior Activities programme. Provide a smooth transition and ready flow of active members from Junior ranks by providing a programme of practical lifesaving development. Surf Life Saving Central Coast leadership development strategy follows key stages in a lifesavers development. 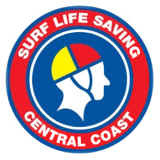 Surf Life Saving Central Coast has created a framework for the ongoing support and development of motivated volunteers within the Central Coast. Specifically, this equates to the initiation of development programs designed to ease the transition of participants into club leadership roles. We now need to nurture the program to ensure it evolves and continues to develop. Obviously, a part of the programs’ measurable outcomes will be the leadership roles course participants move into. It must not just remain at its current operational level as has happened with similar programmes in the past. It needs to take the next step and become firmly recognised by our membership as being an integral part of the ‘surf life saving psyche‘.